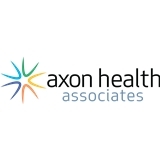 Axon Health Associates (New York) - Book Appointment Online! I found Dr. Cueto after a terrible experience two days ago with another chiropractor, and wow, what a difference! Everyone there was friendly and kind, they see you right away, and they're thorough and helpful throughout the whole appointment. It was such a relief to find a place where I felt comfortable, and even just two hours since leaving, I already feel so much better. I'm glad to have found a new chiropractor and practice and am excited to get my back healthy again! I hate doctors. This wasn't terrible. He sounded knowledgable and caring, hard to know the accuracy of his diagnosis from the first visit but i will defienitly go again. He sounded right on the point, but i am not a doctor.. i very much liked his quick and approachable personality. WONDERFUL! I met with the doctor right away and was introduced to my team - both with chiropractor and physical therapist. I am in my 30s and athletic, but have a hip imbalance that led to a recent running injury. My first appointment was very thorough and included X Rays as well as physical therapy. Everyone in the office was very friendly, thorough and thoughtful in their examination and treatment ... and really spent the time with me to understand the issue and begin therapy. Highly recommend! This practice sees patients at 6 locations.